A week ago I played with fresh new list – Gunnbjorn in PoD, which I choose as a pair to Madrak2 for incoming local tournament. 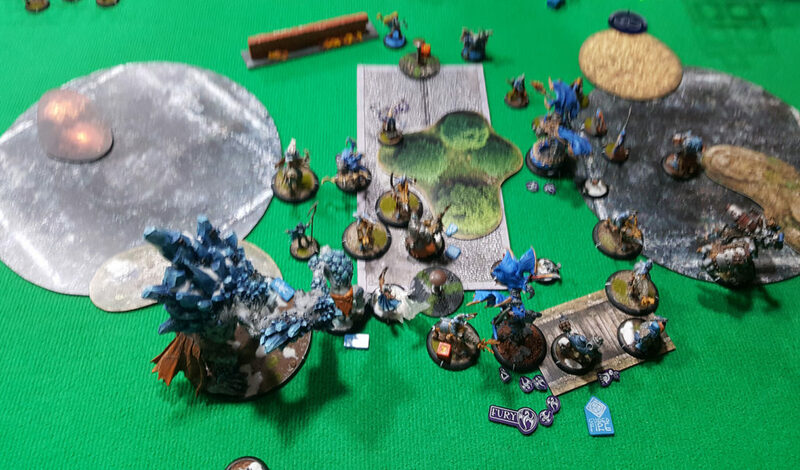 Maciej was my opponent, and he had Fyanna2. Maciej won the starting roll and choose to go first. Everything moved forward. Fyanna cast Admonition on Zuriel and Iron Flesh on Archers. I started th game with Snipe on Gunnbjorn and Explosivo on Mountain King (just because I could 🙂 – it was free from theme bonus). 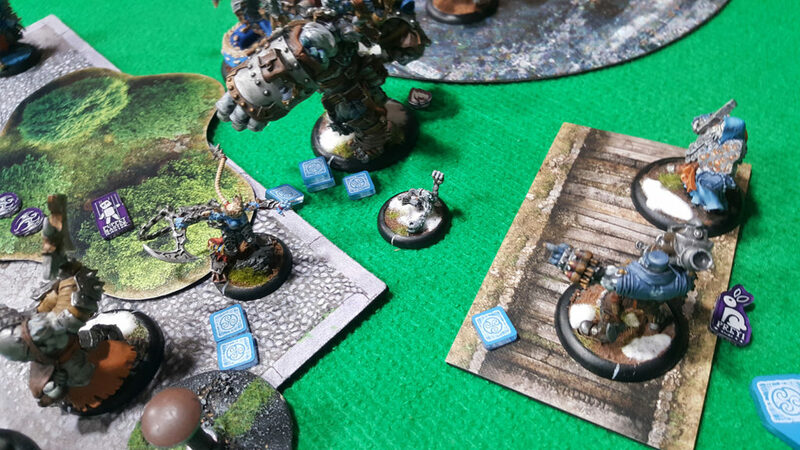 Dhunia Knot put Puppet Master on Dozer and Gunnbjorn. Mountain King moved just a little outside Raptors melee threat range. Earthborn run to be next to the rough terrain (for speed bonus). Runebearer decreased spell cost and moved. Gunnbjorn cast Guided Fire for 2 and shoot at Azrael. I hit with Critical Devastation and managed to clear some models including Craelix, one Witch, Swordsmen and Archer (Devastation bypass immunity to blast). Gunnbjorn cast Earth Blessing and FEATed. Dozer hit and kill some more models. Basher run to the right zone. Unfortunately I badly mispaced Lanyssa and Gobbers and they are not protected by the feat. Stone fuelled himself and moved. Legion turn 2. 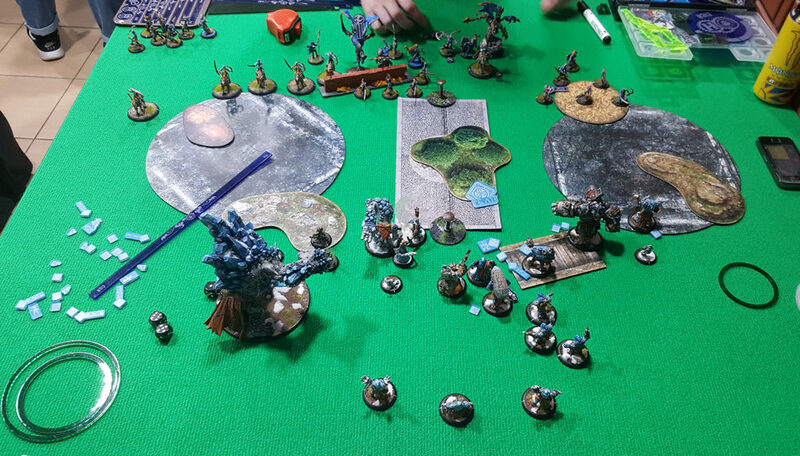 Maciej shot Lanyssa and one gobber of the table and just positioned models for next turn assasination attempt 🙂 He upkept Admonition on Zuriel and moved Iron Flesh on Raptors. He also FEATed (+3 def and Dodge for Legion models). I forgot to take a picture here, sorry. 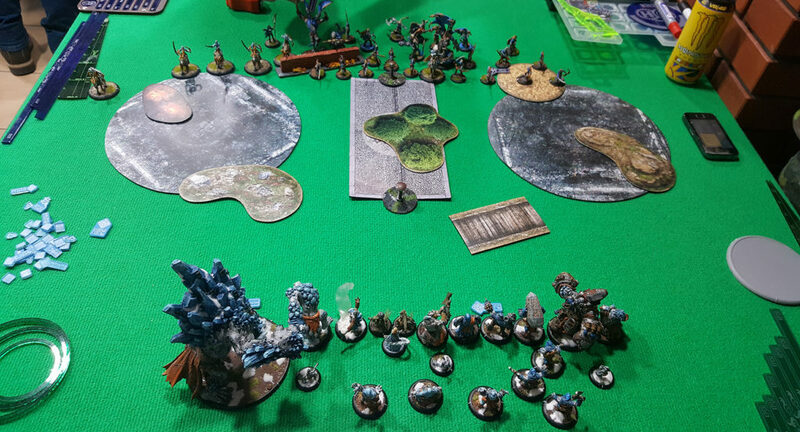 Trolls turn 2. Somehow I thought I could clear right zone and score a point there. I put Puppet Master on Basher, Dozer and Gunnbjorn. After activating all of them there was still 3 models in the zone. It turns that hitting so high def is impossible even with rerolls and boosted dices. Gunnbjorn cast wall in front of Earthborn and Janissa (it’s hard to see it on the photo, becuase I made it ice-style and it blends). MK tried to spray over a few models and killed one Raptor if I remember correctly. 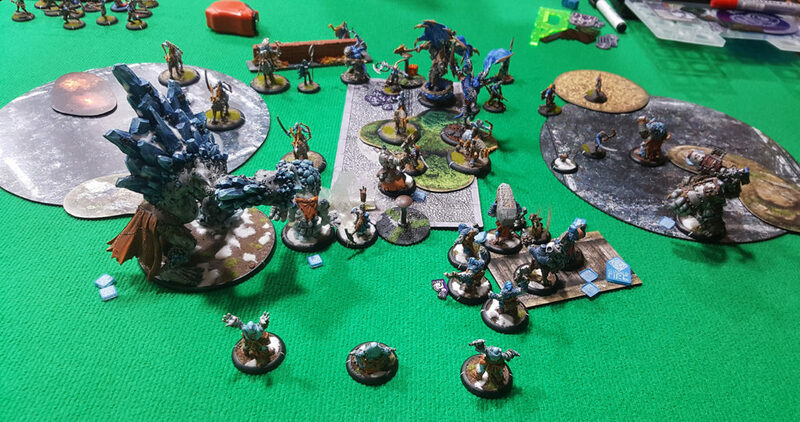 Then Axer charged in a sweet spot clumped with models. 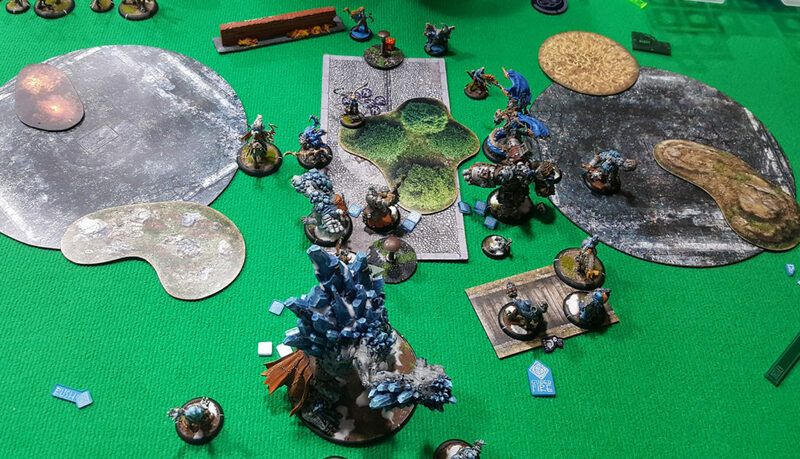 And again – I miss some attacks, but what worse, I triggered Admonition, and Zuriel moved to have perfect position for next turn CK… I desperately moved whats left, around caster. No scenario points. Legion turn 4. Fyanna is speed 7 and has weapon with 4″ reach. And she has native pathfinder, so no forest can slow her down. Guess what? She just got Puppet Master came to Gunnbjorn. 2 transfers later he was dead.